The original “Dota” was a mod created for Warcraft III, and after the games immense success other MOBA style games debuted and stuck to the addictive formula, including League of Legends and Heroes of Newerth. Valve, best known for their online distribution platform and the Half-Life series, acquired the rights to Dota in 2009 which they subsequently used to release Dota 2. In 2011 they hosted The International, a three day Dota 2 tournament held in Cologne Germany with a $1.6 Million Dollar Prize Pool and a grand prize of one million dollars. It was at this moment that eSports (electronic sports) had finally arrived in the eyes of players and fans. To celebrate that original tournament, Valve recently debuted the Free to Play, a feature-length documentary that follows three players who competed on different teams in the 2011 tournament. The documentary is definitely worth checking out, as it give a great insights into the trials and tribulations such an event has on one’s like. 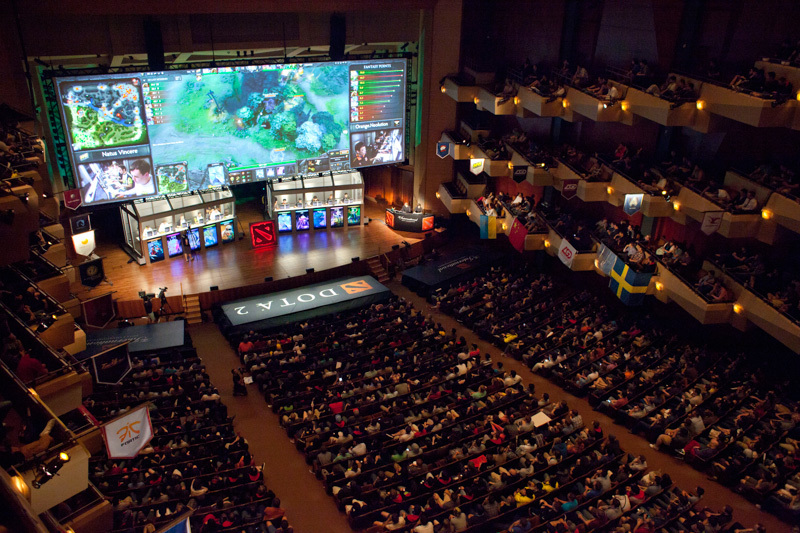 That being said, here are five things you should know about being a professional Dota player. 1. If you’re a professional Dota player, your team is probably not from the U.S.
During the 2011, 2012, and 2013 International tournaments, only one team in the top eight finishers has been from the United States (Team Liquid, Finished 7/8th in the 2013 International). Out of all the teams who have finished top eight in the three years the tournament has run, China ranks highest with 10 appearances. The next highest is the Ukraine, with three top eight appearances. Natus Vincere (Na’Vi) is a Ukrainian team which has had more top International finishes that any other team. They placed first in the inaugural International tournament in 2011, and came in second in 2012 and 2013 where they lost to China’s Invictus Gaming and Sweden’s Alliance, respectively. Professional gamers have training centers and houses, much like their athletic counterparts. It is in these places where players train, eat, sleep, and learn as they strive to become better gamers. eSports teams also have a coach, who picks players depending on how their individual skills could be put together to make the five man team. In Dota, there are carries, people who farm the entire game in order to easily kill enemy heroes past the 40 minute mark, as well as support players, who ward the map with items that reveal key locations and who pick heroes with specific skills that hinder enemies and help teammates. Is it up to the coach to decide who on the team plays which roles the best and what specific characters the team should go for. Additionally, in places like China, Dota is recognized by the General Administration of Sports, which I the same body that recognizes ping-pong, chess, and tennis. The only difference between Dota and these sports (in the eyes of the administration) is that is Dota isn’t an Olympic sport. Where athletes like John Elway or Wayne Gretzky are treated like idols in the U.S., the same is true for professional gamers in Asia. As mentioned in the Free to Play documentary, professional gaming is shown daily on TV for the public to watch, just like any other sports game. Professional gamers have so much sway that during the 2010 World Cup, professional Starcraft players from South Korea were brought in to inspire and pump up the South Korean national soccer team before their game. The celebrity of professional gamers is helped by the fact that players and teams have the opportunity to make huge amounts of money in prizes. As mentioned before, the 2011 and 2012 International had a $1.6 million dollar prize pool, with the winner taking home one million dollars. During 2013, this was increased further, with the total prize pool at a whopping $2,874,381 and a first-place prize of $1.43 million dollars. As of the summer of 2013, U.S. Citizen and Immigration Services began issues professional player P-1 visas, usually intended for “individual athletes,” to eSports players. This means that players from all over the world can easily travel to the U.S. to participate in eSports tournaments and represent their countries, which continues to help further the mainstream rise of eSports. It isn’t hard to believe that 10 or 20 years from now, eSports athletes will be as prominent and loved as physical athletes on the the world scale. The e-Sports e-Splosion: Why Now?